The first half of the 2015/16 Bundesliga season will go down in history. A whole host of records were smashed in one of the most spectacular Hinrunden of all time, and completing the back four in our dream XI is Borussia Dortmund's Mats Hummels. Hummels joins fellow FIFA World Cup winner Jerome Boateng at the heart of defence in your Team of the Hinrunde. 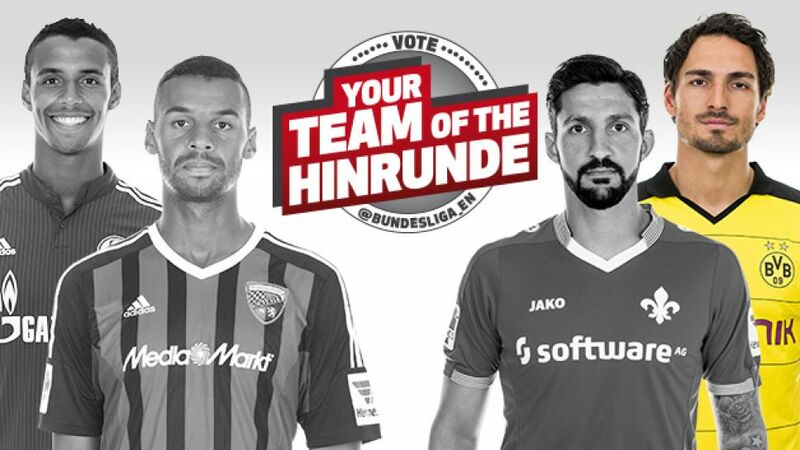 The 27-year-old ran away with the vote among @Bundesliga_EN users collecting 84 per cent of the poll, whilst amassing 69 per cent on @bundesliga_de. The talismanic centre-back featured in all but one of BVB's Bundesliga encounters during the first half of the season, chipping in with two goals and an assist as Thomas Tuchel's side went in at the winter break as the highest scoring side in Germany's top flight.